This fascinating selection of photographs illustrates the extraordinary transformation that has taken place in Hull during the 20th century. The book offers an insight into the daily lives and living conditions of local people and gives the reader glimpses and details of familiar places during a century of unprecedented change. Many aspects of Hull's recent history are covered, famous occasions and individuals are remembered and the impact of national and international events is witnessed. 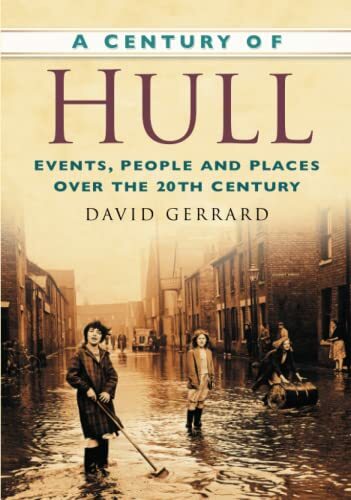 The book provides a striking account of the changes that have so altered Hull's appearance and records the process of transformation. Drawing on detailed local knowledge of the community, and illustrated with a wealth of black-and-white photographs, this book recalls what Hull has lost in terms of buildings, traditions and ways of life. It also acknowledges the regeneration that has taken place and celebrates the character and energy of local people as they move through the first years of this new century.